Virat Kohli was gracious in India's defeat and congratulated Pakistan for their wonderful performance during the Champions Trophy final. 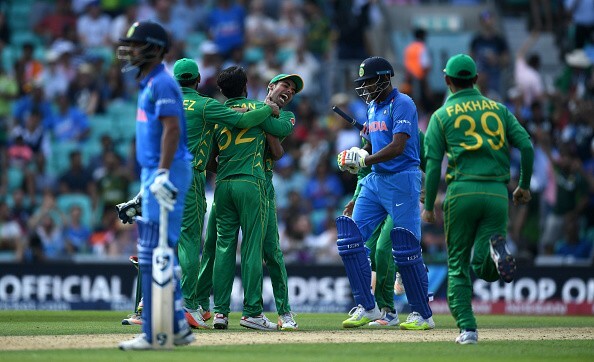 India lost to Pakistan in the recently-concluded Champions Trophy final in London on Sunday. India were completely outplayed by Pakistan in all departments of the game, and the Men in Green deservedly won the title with their positive brand of cricket throughout the final. Pakistan, with the help of Fakhar Zaman's century, scored a massive 338 runs, and the target was too much for India, who were bundled out for a below par 158 runs. It was India's third loss against Pakistan in the Champions Trophy. Winning and losing are part and parcel of any sport. 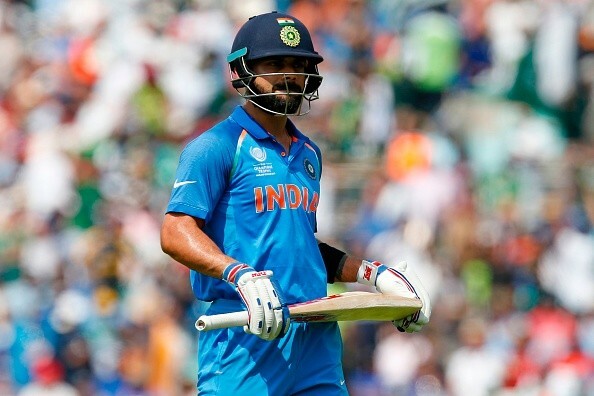 Virat Kohli, who is a fighter on a cricket field, was hurt with the outcome, but the skipper praised the Pakistan team for their incredible showing in the final. The India captain kept the rivalry aside, and showed some real sportsmanship during the presentation ceremony. He not only congratulated Team Pakistan for winning their maiden title, but showed them respect as well. "I want to congratulate Pakistan, they had an amazing tournament, the way they turned things around, speak volumes for the talent they have. They proved it again, they can upset anyone on their day, disappointing for us but I have a smile on my face because we played well to reach the final," Kohli said. "We were outplayed in all departments. In the end, you have to accept and admire sometimes the skill of the opposition," Kohli added sportingly. Cricket fans in Pakistan were pleased with the way Kohli spoke about the Pakistan team. As a result, the Indian cricketer won hearts in Pakistan and earned a new share of fans from across the border. Here are some tweets, primarily from Pakistan cricket fans, who thanked Kohli for his kind words despite the loss. Thank you @imVkohli for very kind words for us. And Team India, you're a really good team. It is an honour to have won from World Champions. Beauty of sports is conserved through ensuring them be apolitical. Let's keep it that way. Let the spirit of sportsperson spirit define us?? A gracious speech by @imVkohli ! cricket & diplomacy both winners today! #PakvsInd #champions! Superb sportsmanship from @imVkohli in the interview right now. ?? Kohli has a lot of admirers in Pakistan as well. Good leader .